As we moved into the second week of our journey in the Footsteps of Jesus, we began to explore some of the sites where Jesus carried out his mission and trained his disciples to do the same around this beautiful lake we call the Sea of Galilee. Our first stop was the meticulously rebuilt early Byzantine church which is right next door to where we are staying here in Tabgha. This area still today, as in the time of Jesus, is incredibly lush due to the seven springs which water the grass and trees in the area. It is not hard to see why Jesus often brought his disciples to this area for times of abiding and rest after seasons of busy and fruitful ministry. An early tradition places the miracle of the feeding of the five thousand here, marked by an ancient stone and a famous mosaic of the five loaves and two fish. After reflecting on the disciples participation in this amazing miracle we headed up the hill to the traditional location of the Sermon on the Mount and visited the Church of the Beatitudes surrounded by meticulously tended gardens. From there we went to explore the brand-new excavations at Magdala, the hometown of Mary Magdalene along the shore of the lake. 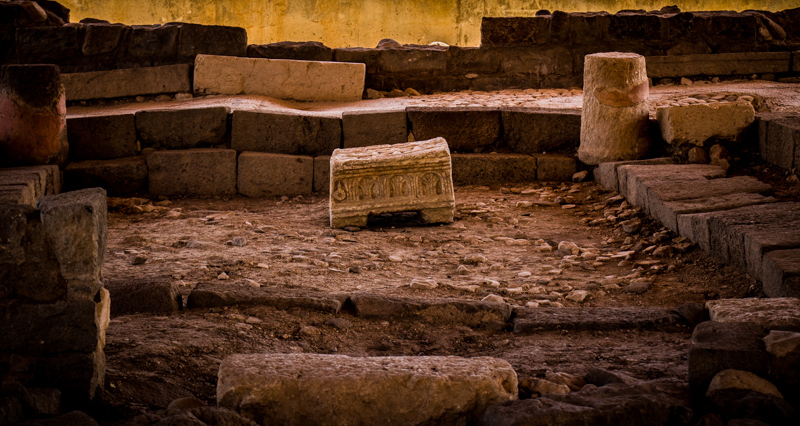 The recently discovered first-century synagogue there is the most important biblical archaeological find of this century and was certainly one of the synagogues Jesus preached in. It was amazing to see the intricately carved table there, knowing Jesus would have laid the scroll on it as he unrolled it to read the text he was preaching on! We finished another incredible day with an intimate Communion service at a gorgeous lakeside chapel in Tabgha and a refreshing swim in the lake near our guesthouse...we couldn't be more grateful! The rebuilt Church of the Multiplication of Loaves and Fishes at Tabgha (Seven Springs). It is like stepping into an authentic fourth century Byzantine church. The famous mosaic of loaves and fishes in front of the ancient stone said to be the place where Jesus blessed and broke the bread to initiate the miracle. 1600 years old and going strong! 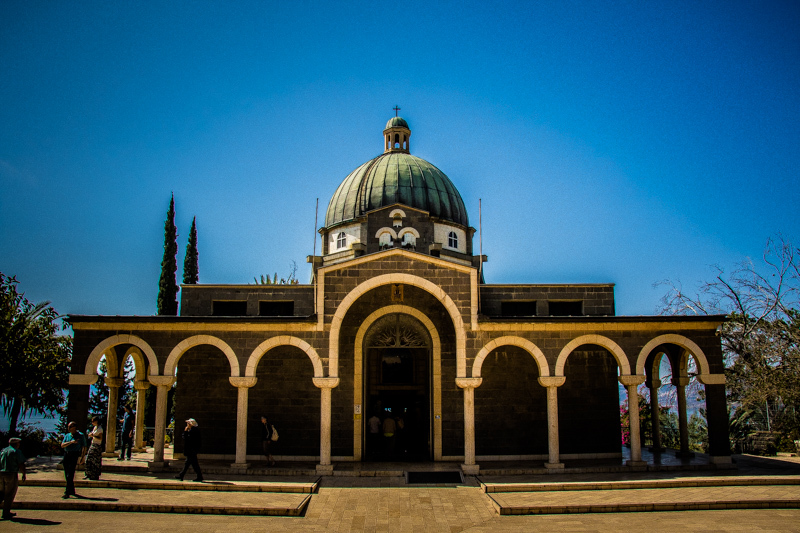 The Church of the Beatitudes is built as an octagon, reflecting the eight "Blessed are you ..." statements that begin the Sermon on the Mount.Good thing it was such a captivating sermon, because it would have been easy to be distracted by the sweeping views over the Sea of Galilee. A panorama of the new excavations in Mary Magdalene's hometown of Magdala. The Israeli Antiquities Authority has stated it is the most important biblical archaeological discovery of the 21st century! Exploring the ancient streets, shops, and homes of Mary Madalene's hometown. She was the most prominent of Jesus' female disciples, demonstrating incredible courage in her devotion to Jesus even in the face of death. The interior of the first-century synagogue in Magdala, an incredible and unprecedented find. Since the Gospels tell us Jesus taught in all the synagogues of Galilee, we know for certain he stood here and read the scroll that was unrolled on this carved limestone block! The gorgeous new church built in Magdala, honoring Mary Magdalene and the twelve disciples. 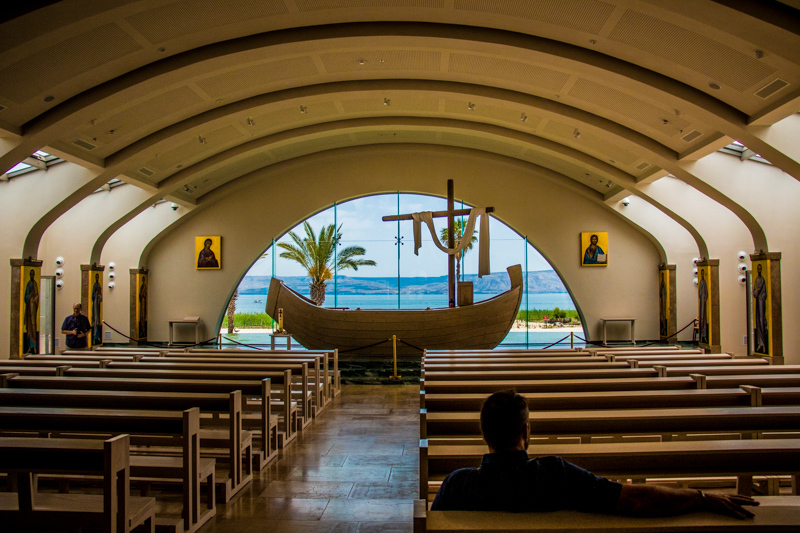 The altar is a replica of a first-century fishing boat set in front of an infinity pool with the lake in the background--how cool it that?! This is the beautiful and peaceful spot in Tabgha where we reflected on Jesus' miraculous feeding of the five thousand and celebrated Communion. Doesn't get much better than this! This blog will provide daily updates on our journey in the Footsteps of Jesus. Log on every day and share this with family and friends to keep in touch and hear about our daily adventures.